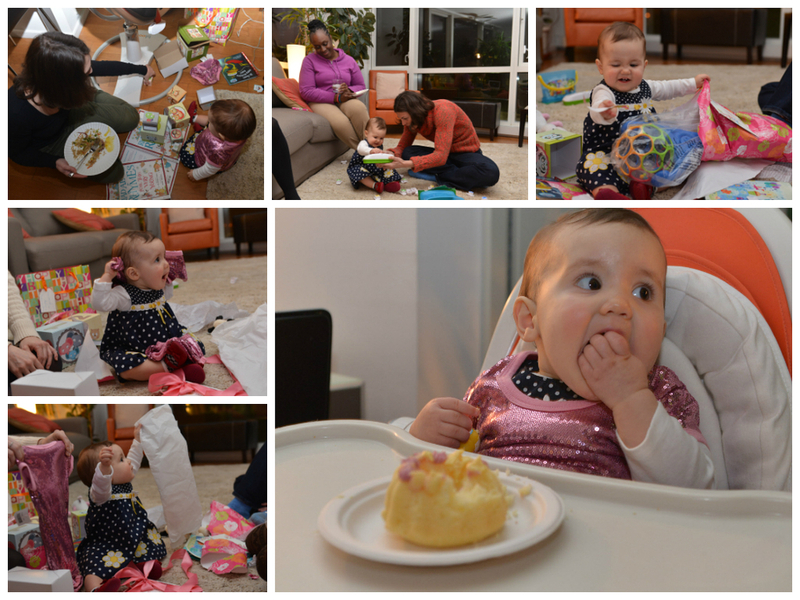 In typical overloaded Athlete Moms fashion, I've just now (2 weeks later) downloaded photos from Amy's first birthday party. We threw a party in our apartment for 14 of our closest people. 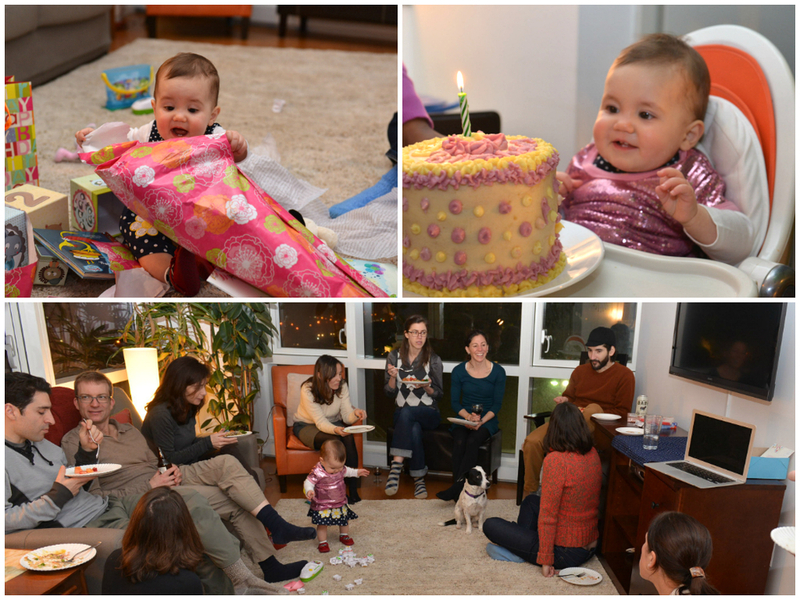 The guests were told to arrive at 5:32 pm, the exact time Amy was born. We also live-streamed the event via a Google+ Hangout so Amy's doting aunts, grandparents and cousins could tune in. PS - Wondering what's with the sequined pink party shirt? That was provided by Amy & Rodney, of course.